From NameStall- Mike Berkens wishes he thought of this and we congratulate Mike on his new home! This release actually confirms what Mike and we've been saying all along: "That the number one end user motivation to buy an aftermarket domain is to brand something new or to fix a brand that's broken. Truncation and Global presence now take spots 2 and 3 as primary motivations for end users to buy. According to NameStall: Having a proper domain name has become indispensable for anyone looking to survive for long in the cyberspace. This is because anyone with a website that does not have a proper domain name can lose out on generating traffic and fading into oblivion. Therefore, it has become essential for you to have a brandable domain name for your website irrespective of whether you are looking to start a blog or an ecommerce service. However, the correct technique for choosing memorable and brandable domain names is no rocket science and anyone can learn how to pick great brand able domain names by following few simple tips. The first thumb rule is concerning the choice of a name that is truly reflective of the content of the website. If you are considering building a website with content on how to lose weight quickly or make money on the internet, then your domain name must contain these words or be as close to it as possible. This is immensely important for attracting the attention of the right people to your site. If you are thinking about starting a blog then you can consider giving the domain name a more personal touch. You can consider adding your nickname or the subject of your expertise to the domain name. This can help you in creating a niche for your site and make it easier for people to recall it with more ease once it starts generating traffic. You can opt for professional help for getting a domain name that is keyword rich and high in SEO. This can help you in enjoying better search engine result hierarchy, which is important for ensuring greater traffic to your site. A site low in keyword count is likely to languish at the bottom of the search engine result deprived from user visibility. However, professional help is likely to set you back financially. Therefore, it is up to the owner to decide whether they require any expert help because they need to have the traffic to make justice to their investment. And this is where NameStall is helping people by providing huge list of all available brandable domains without any cost. All you need to do is go through the list and pick or register the name to your favorite registrar that you like most or prefer. 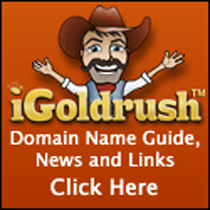 NameStall is website about keyword rich and brand able domain names. Its developers developed many unique tools for people to find domain names for their websites, blogs or companies. And NameStall is one of the fastest growing websites of the year 2013. 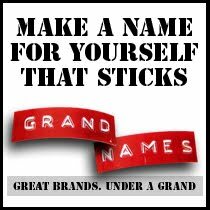 To find a short, creative and catchy name for your next website or project please visit http://www.namestall.com/brandable-domains.